Can Magnesium Oil Help You to Sleep Better? A quick search for the term ‘insomnia’ returns fourteen million pages on Google. Looking up ‘sleeping problems’ yields ninety nine million more. Various surveys report that 30% of Canadians, 35% of Americans, and 38% of Britons suffer occasional insomnia, and for about 10% of people in these countries, insomnia is a chronic problem. Only about 1 in 20 people, however, ever sees a doctor for what can be a life threatening condition, to get a prescription for sleeping pills. Given their well known side effects, which range from sleep walking and sleep driving to, ironically, more insomnia, most people who have problems with sleep and relaxation decide ‘just to tough it out’. But that is not necessary. Chances are you can get better sleep and easier relaxation with the help of magnesium, especially in the form of magnesium oil. The Connection Between Magnesium and Sleep? Often when you see some advertisement touting a natural substance as a way to get faster, deeper, more relaxing sleep, the company that makes the product is relying on thousands of anecdotal reports of individual experiences – not that that is all bad. In the case of magnesium, however, clinical testing has confirmed that it really does help restore restful sleep. Scientists recruited a group of 46 senior citizens (suffering with insomnia) to receive either 500 mg of magnesium or a placebo every day for 8 weeks. They measured the severity of their insomnia with a standardized test called the insomnia severity index (ISI), and they asked the participants to keep a log of the caffeinated beverages they drank and the food they ate, which the researchers analyzed for dietary consumption of magnesium, potassium, carbohydrate calories, and total calories. Reported less early morning wakening. For this measure, the higher the bloodstream magnesium level, the less waking up too early was a problem. The magnesium group did not, however, sleep longer than the untreated group. They simply slept better, while not losing any hours from their waking day. And the researchers also discovered what it is that magnesium does to make for better sleeping habits. 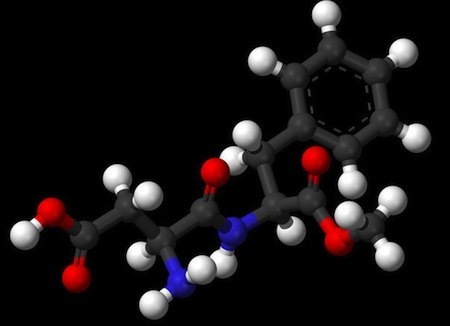 Higher levels of the kidney hormone renin, which reduces the need to get up and urinate during the night. But you don’t have to be over 65 to use magnesium to promote sleep. Other tests have shown that it relieves restless legs syndrome. It reduces the severity and frequency of asthma attacks. It helps maintain regularity. With or without two other sleep supplements, melatonin (used in doses of up to 5 mg, taken an hour before bedtime) or zinc (used in doses of at least 10 but not more than 30 mg a day), it helps restore normal sleep patterns. There’s just one potential danger to taking 500 mg of magnesium in a pill form every night a couple of hours before you go to bed. That much magnesium can cause diarrhea, which is why it is a better idea to take it in the form of magnesium oil. The kind of magnesium most often used in supplements you take by mouth, magnesium oxide, is inexpensive and effective, but it is not completely absorbed. Up to 93% of magnesium oxide consumed in a pill or capsule formulation fails to pass through the lining of the small intestine into the bloodstream. It stays in the small intestine, and later in the large colon, where it absorbs water. If you happen to be constipated, this is a good thing! But if you aren’t, the unabsorbed magnesium can cause a harsh side effect – ‘the runs’, diarrhea that relieves constipation, only as long as the magnesium is in the gut. The way to avoid this problem is to take magnesium transdermally (across the skin) in the form of magnesium oil. Magnesium oil feels oily, but it isn’t really oil. The intense concentration of magnesium and other healthful mineral salts in the ‘oil’ gives it an almost gelatinous feel, but the solution is really mineral salts and water. The form of magnesium in magnesium oil is the more readily absorbed magnesium chloride, and there is so much magnesium in magnesium oil, about 160 times more magnesium in a 1 liter bottle of magnesium oil than in a 500 mg supplement. That means adequate absorption of the mineral is assured. It goes through the skin and into the bloodstream, never passing into the gut where it could cause upset. How Can You Benefit Most from Magnesium Oil if You Have Trouble Sleeping? It really is possible to use oral magnesium supplements to support better sleep. If you make sure you avoid the less expensive brands that contain magnesium oxide, and you avoid taking more than 200 mg of the better absorbed magnesium citrate during the day (which means you will need to take multiple doses), and if you use magnesium glycinate, you make sure you are well hydrated (which tends to counteract the effects on renin that reduce the need for nighttime visits to the bathroom), sure, you will get better sleep. But for most of us, it’s just a lot easier to rub a little magnesium oil on the forehead, on the hands, on the chest, or even all over, every night before going to bed. Don’t wipe it off. Let it dry so it can do its work. Everybody needs magnesium, and everybody sleeps better when magnesium levels are adequate. But there is one group of insomnia-prone individuals that will be especially better off when using magnesium oil. That is people who are addicted to the sweetener, aspartame (Nutrasweet), especially people who just can’t get through the day without their Diet Coke, Diet Pepsi, Diet Dr. Pepper, other diet soft drinks – which are all laced with aspartame. Aspartame is an excitotoxin. It increases the brain’s use of a chemical called glutamate. Magnesium helps the brain make a compound called gamma-amino butyric acid, or GABA for short. GABA counteracts glutamate, and magnesium balances some of the neurotoxic effects of aspartame. But don’t just take our word for it. Try it for yourself – We just aren’t responsible if you sleep through your alarm clock the next morning. 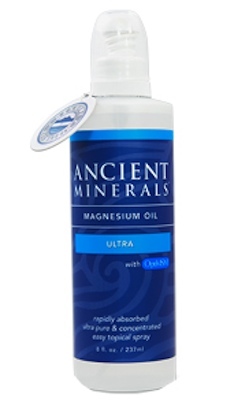 Ancient Minerals Magnesium Oil 8oz. Please note: All information and content on this site and articles linked to and from it are for information purposes only. The Magnesium Perfection is a website set up by a wellness enthusiast, NOT a medical professional. We have done our best to ensure all information on this site is accurate, but it should not be used as medical advice in any way. Before taking any kind of alternative medication or supplement, you should speak with your doctor first.